Continuing from my earlier post, I wanted to describe the experience I had at Vista Caballo the weekend of June 25-28. This was the inaugural ‘Horsewhisperer Experience’ at Vista Caballo, and was a different kind of immersion from the ongoing work that they are known for. Disclaimer: Vista Caballo is a client of mine, but I did pay to be a part of this weekend. The weekend was a sort of bonding experience between 6 participants (of which I was 1), and the 4 incredible horses that are really the teachers. We were fortunate to have renowned horse specialist, Bruce Logan as one of our guides, along with Lisa and Jess from Vista Caballo. There were other, more personal and spiritual elements to the weekend that I won’t get into here, but if anyone is interested in hearing more about it, I would be happy to have a one-on-one conversation about it. Primarily, my point of this entry is to convey what a huge impact the experience had on me. I was with a group of 6 men that are all leaders in their own fields, and the things we learned during the course of the weekend are applicable to our personal lives and professional lives as leaders. We learned how our presence and our energy had an impact on how the horses responded to us, which was of course a strong metaphor for how we have an impact in our daily lives with our interactions with others. 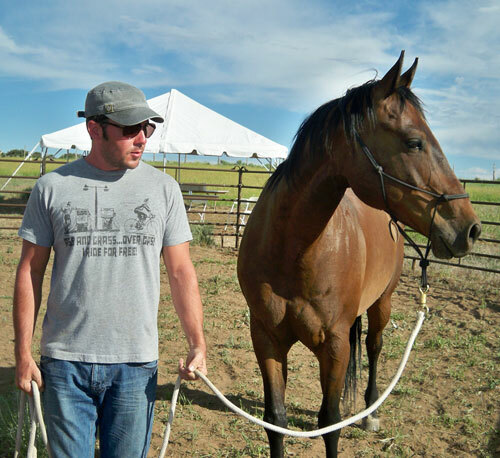 By approaching the horses with confidence and intention, we were able to alter how they behaved around us. I personally learned quite a bit about boundaries, and realized quickly that I had none around the horses. Simple changes in how I handled my personal space had profound effects on how the horses treated me. It was incredible to be a part of this experience and see firsthand how these things work. 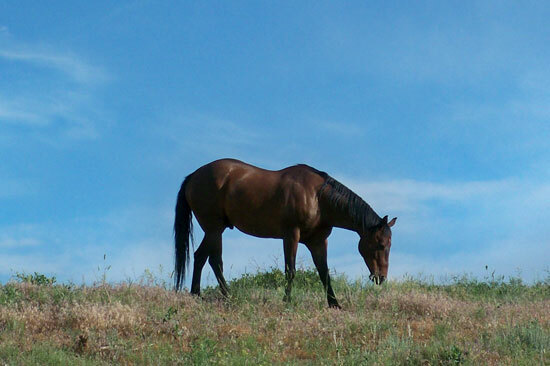 One of the horses, Mikey, has a troubled past and was going to be put down by the previous owners. Fortunately, Lisa Dee found him and adopted him before that happened. He was the least balanced of all the horses we interacted with, but he was an excellent teacher at the same time. We were able to interact with Mikey apart from the rest of the herd, and what happened during that experience was nothing short of mind-blowing! This horse did not want anything to do with any of us at first, and was very difficult to approach. By the end of the afternoon, each of us were able to ‘catch’ him and even put the halter on him, which we never would have imagined at the start of the session. I felt very connected to Mikey and had a hard time leaving him. I appreciated the opportunity to help him feel positive energy from humans, and heal some of the emotional wounds from his past. Today’s experience with Mikey was one that I will never forget and will always cherish. I learned what the human heart was capable of – from a horse. We were able to collectively heal the heart of a horse that has a traumatic past, and despite all the odds being stacked against us, we balanced the energy and together we brought peace to his world, and in effect, ours. Speaking with Tom Blue Wolf earlier was similarly profound. His words rang true for me and his message of hope was inspiring, but also urgent. “We are the ones we’ve been waiting for.” These are his words, as they are mine. The message and metaphor are clear to me – if we can bring balance and peace to a troubled horse, can we also bring balance and peace to our mother, Earth? I believe this is the lesson we are here to learn. All of us here on this journey truly are the ones we’ve been waiting for! We must take our role as leaders seriously, and just as a dominant horse assumes leadership, so must we. It is our destiny and our burden to bear. Our time is now. We must carry this message forward. This weekend had a profound impact on me, and I could not be more thankful for the opportunity to be a part of this inaugural experience. I’m excited to take the lessons that I learned and apply them to my life and my own journey. If you are interested in learning more about my experience, feel free to reach out or post something in the comments. Thanks for being here and letting me share my journey with you!